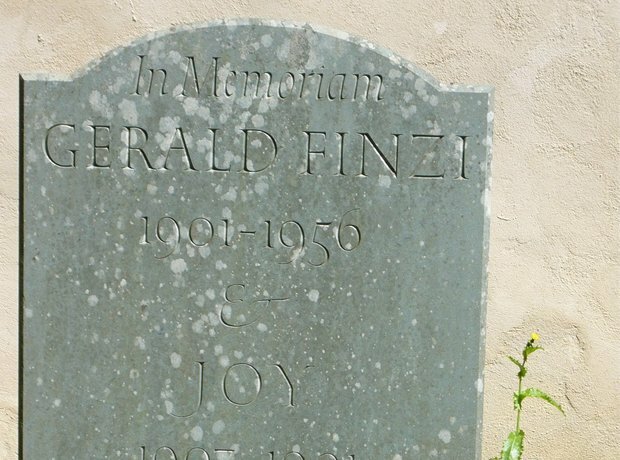 The composer Gerald Finzi (1901-56) moved with his wife Joy to the village of Ashmansworth in north Hampshire in 1939, and stayed there for the rest of his regrettably short life. As well as composing music there, he founded and ran the Newbury String Players, built up an extensive collection of English poetry*, and grew many rare varieties of apples. He was buried in Ashmansworth churchyard, next to the porch. 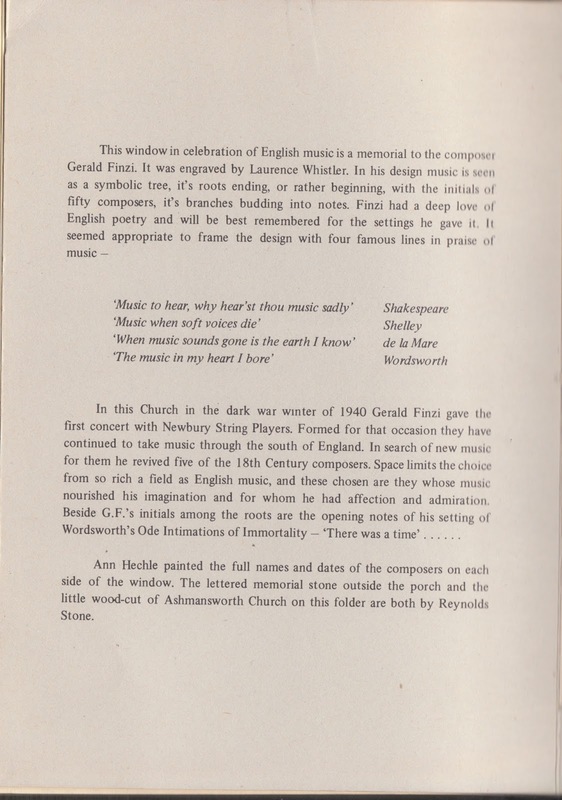 In 1976 a window of engraved glass by Laurence Whistler, entitled 'A Window to English Music', was installed in the porch, just feet from the grave. Engraved glass in windows is very difficult to photograph in situ; the photo at the top of this page was presumably taken before the installation. 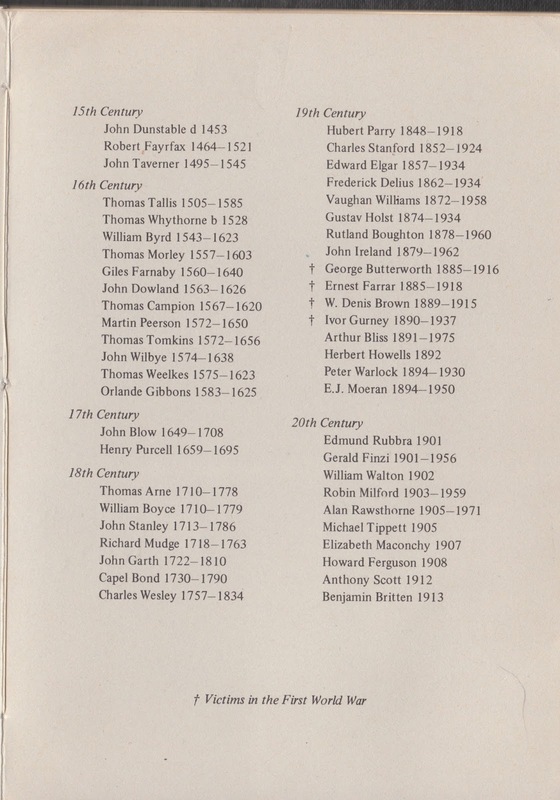 My copy of the photo was sent by Whistler to John Arlott, the cricket commentator and poet, along with a programme for the unveiling ceremony, suitably inscribed, as you can see. (It does seem a bit odd that he addresses his old friend by both first and surnames.) Arlott had the programme bound in plain black boards, and loosely inserted the photo. After his death his library was dispersed, and I bought this volume**. Laurence Whistler (1912-2000) (the brother of the painter Rex Whistler) is the supreme English exponent of the art of engraving on glass (both on a small scale, such as goblets, and on a large). 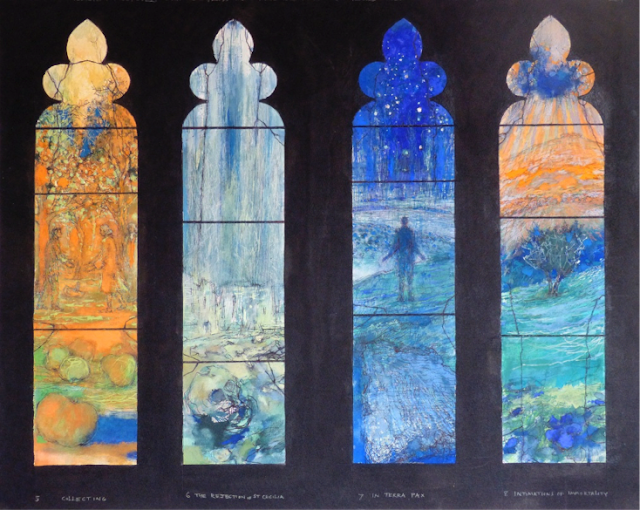 His masterpiece is to be found in Moreton church, Dorset, where over a period of about 30 years he made all the windows. The concept behind the Ashmansworth window is explained in the programme. I think it's highly successful, both stately and rather playful. 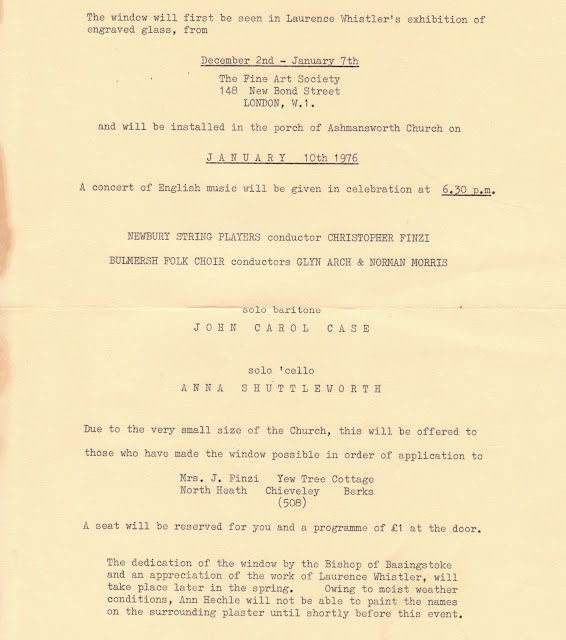 I have to admit that I've never heard of some the composers celebrated. Richard Mudge? John Garth? Capel Bond? I'm ashamed not to have heard of Robin Milford either; I've just consulted Professor Wikipedia about him, and I shall listen to some of his music very soon. 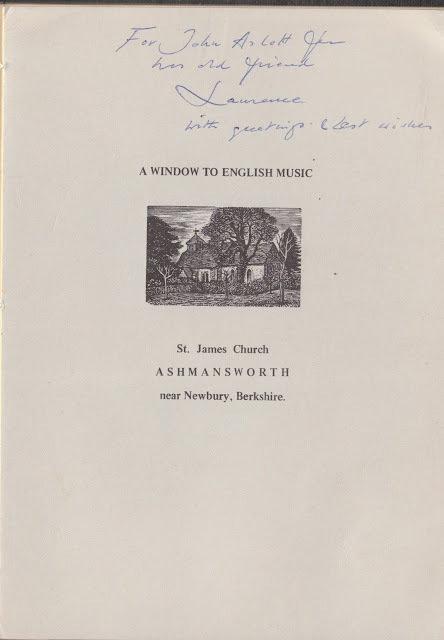 The small picture on the front cover of the programme is of Ashmansworth church, and is by another master of his medium, Reynolds Stone*** (1909-79), who engraved not glass but wood. 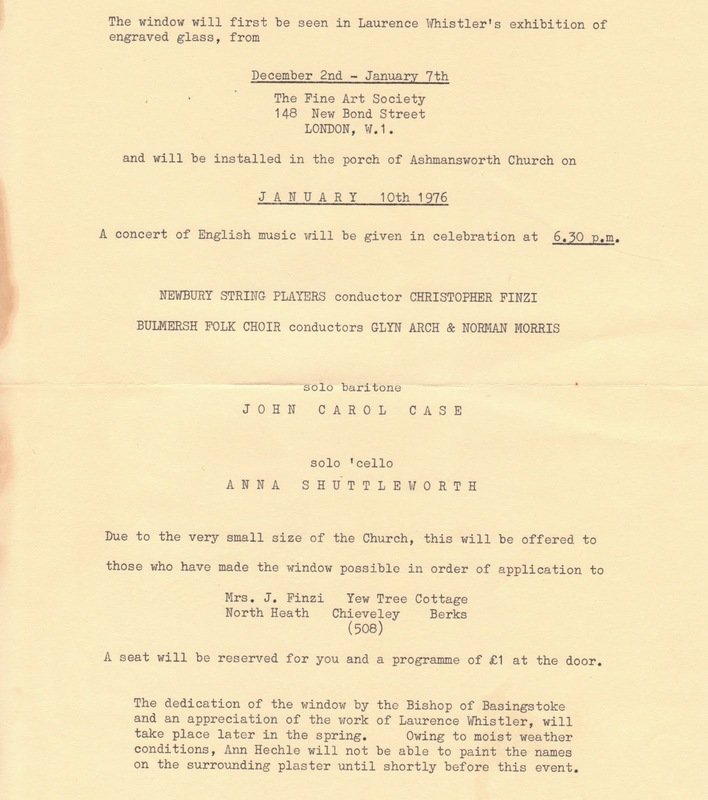 Loosely inserted in my copy of the programme is this flyer for the dedication ceremony. The Newbury String Players (founded by Finzi) were to perform and to be conducted by Christopher Finzi, Gerald's son and a notable musician in his own right, and Gerald's wife Joy was in charge of the allocation of tickets. In June 2016 a new window (of eight lights), by Tom Denny, will be installed in Gloucester Cathedral, a building Finzi had long associations with through the Three Choirs Festival. The window will be next to that dedicated to the poet and composer Ivor Gurney, who Finzi did so much to help. 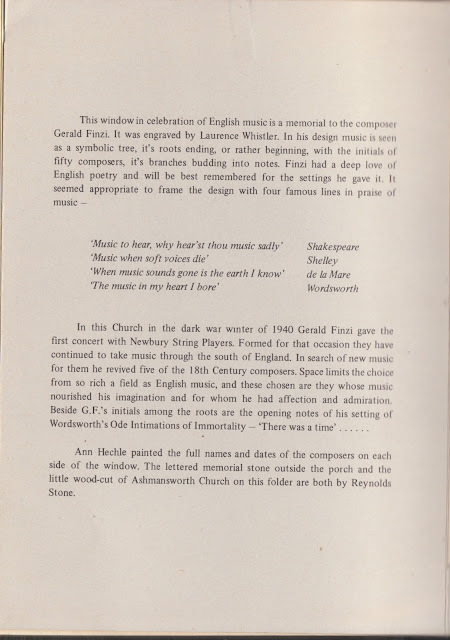 It's wonderful that forty years after the Ashmansworth window, and sixty years after his death, the beautiful, yearning and evocative music of Gerald Finzi will be celebrated in this way. You can read more about (and donate money towards) the Finzi windows here, and see images of all eight lights here. 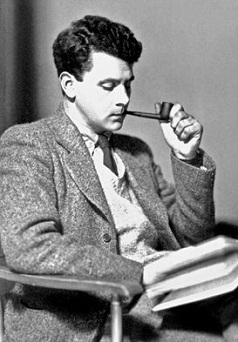 * His library is now in the Finzi Book Room at the University of Reading. 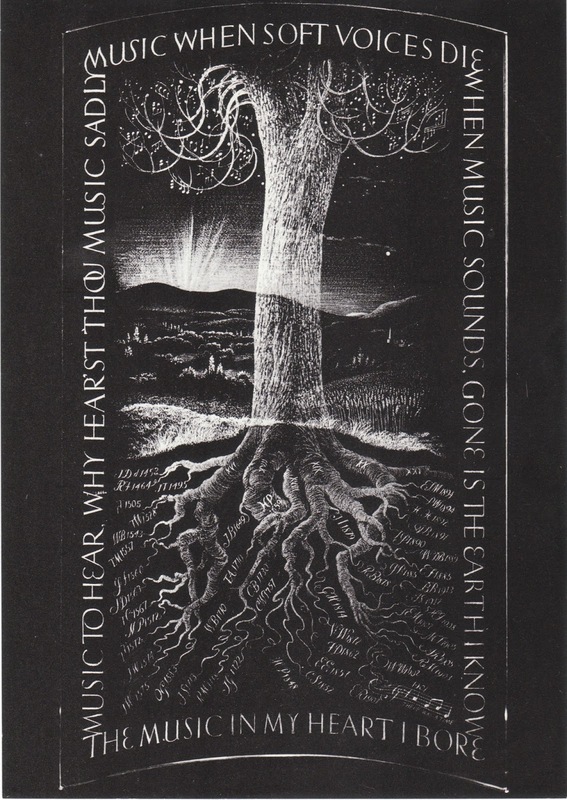 The catalogue is here; it includes a long and informative introductory essay. ** When John Arlott was the guest on Desert Island Discs, one of his eight records was Finzi's setting of Hardy's poem 'To Lizbie Brown'. 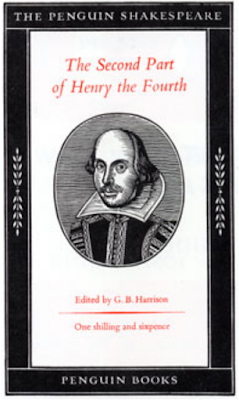 *** I recently blogged about cover designs for editions of Shakespeare. One of the classic designs was for the early Penguin Shakespeares, by Reynolds Stone (based on the First Folio portrait); these editions were printed on much better paper than the later ones with Gentleman and Hogarth covers.